The vehicle of the American company Tesla that last March 23 hit a barrier in Mountain View (California) had activated the automatic system, as confirmed last night the company in a statement, published on Saturday by local media. Shortly after the accident, the driver of the vehicle, Walter Huang, 38, who worked as an engineer for Apple, died at a nearby hospital. Tesla assured that the automatic system was activated and that Huang did not put his hands on the steering wheel until six seconds before the accident, something that did not prevent the car from hitting a road barrier. 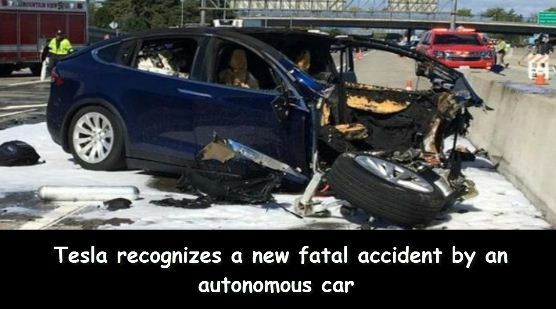 The automatic driving system is capable of slowing down and accelerating as if it was a driver and, in addition, allows pilots to take their hands off the wheel for long periods of time, although Tesla specifically requires its users to maintain “at all times “Hands on the wheel, something the deceased did not do. The death of Huang, the first of a driver of a Tesla vehicle in automatic mode, has raised doubts about the safety of autonomous driving systems. On March 18 an autonomous vehicle of the Uber transport company ran over and ended the life of a woman in Tempe (Arizona, United States). In reaction to that event, Toyota suspended operations with autonomous vehicles that it has in the San Francisco (California) area and in Ann Arbor (Michigan), where its research center is located.